This article was taken from WUPJ newsletter/website. Rabbi Raj is founding rabbi of our sister community in Budapest, called Bet Orim. 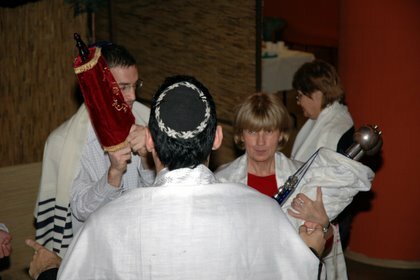 Rabbi Morgan was an early supporter of Sim Shalom spending time in Budapest in the early ’90s, at the time when he was based in NWSS Weybridge, UK. He was also personal mentor of our rabbi Katalin Kelemen in Leo Baeck College Rabbinical Seminary. We were happy to host him and his wife Sue again in our Raday synagogue this summer when they were spending Sabbatical in Europe and Israel.